StarTech.com's PCI2S550 LP adds 2 additional serial ports to a PC requiring a low profile card. It allows users to connect hardware with serial interfaces such as modems, PDAs, digital cameras, serial printers, digitizer tablets, label printers and ISDN terminal adapters to their PC. 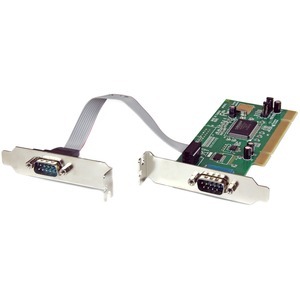 The PCI2S550 LP is a 2-port PCI serial accelerator card guaranteed to work with any PC (drivers for Windows XP, ME, 2000, 98, 95, 3.1, NT, Linux and DOS are included). 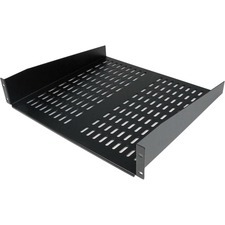 It is easy to install and use thanks to its step-by-step instruction manual and its Plug-and-Play connectivity. IRQ sharing feature also eliminates IRQ conflicts. Two high-speed 16550 UART 9-pin serial ports transfer data at up to 920 Kbps baud rate ensuring that connected hardware runs at peak performance. Also, built-in 16 byte FIFO buffers work to increase data speeds when multitasking.